Backup Windows Libraries is a key need for many users, as Windows libraries (not to be crossed with Windows dynamic library files, or DLLs!) is a typical part of modern Windows operating systems, keeping a lot of user data. 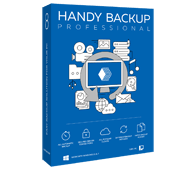 Handy Backup allows automating backing up Windows libraries, both standard and created by users, and restoring it when and where it needed. Data selection. You can select an entire library or any particular folders and files when you plan to backup Windows libraries fully or partially. You may also add file masks for selecting particular files only (e.g., “*.doc*” for Microsoft Word documents). Restoring, mirroring and cloning. Backup Windows libraries and restore these data on any other computer unit to copy, migrate or mirror your libraries on other places. This option is great when you changing your computer or expanding the infrastructure using the same data. Jack of all trades. 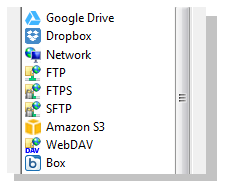 Backup Windows libraries along with any other data: selected files and folders, disk images, database contents, FTP-connected websites and other, using a common interface. 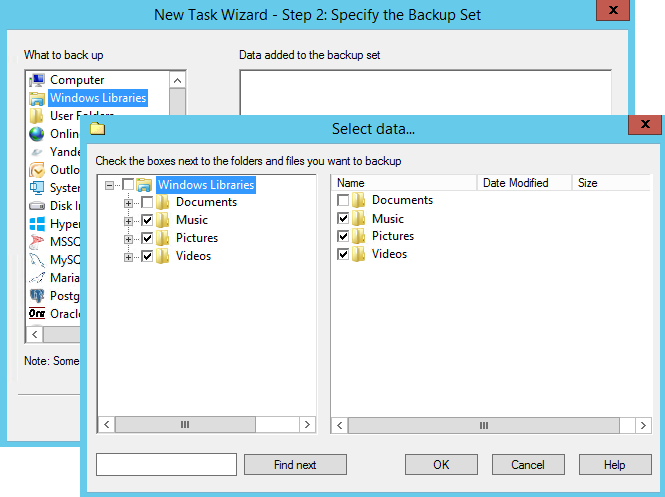 You may create a task for any backup type or join any backup jobs to one task. Viewing backup files “as is”. Handy Backup can backup Windows libraries without changing the format of source files, allowing viewing backup files using the same set of applications as for original data. A variety of storages. Backup Windows libraries for a destination selected from many modern choices, from local and externally plugged hard drives to FTP sites to network-oriented storages such as private NASes, commercial cloud services (e.g. Amazon S3) or proprietary backup cloud service called HBdrive. Planning your tasks. 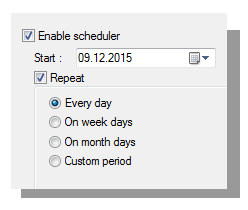 You can also plan when to backup Windows libraries in any single task scheduling running of this task on a time basis starting from period of minutes and ending on months. Control backup processes. You may select from full, incremental or differential backup options, as well as compress and/or secure backup files using the strong encryption algorithm. The program can also notify of any activity using E-mail notifications or worklogs. Other features. Any other program required can be executed before or after any backup task. Handy Backup can also be used as a Windows service, minimizing any user distraction from other jobs. You can feel the awesome might of Handy Backup downloading a copy in a 30-days trial. Backup Windows libraries and other data just now using the most advanced library safekeeping for a day! To back up website files and databases, you need Handy Backup Professional edition, or higher. Free 30-days trial version! See our sitemap to find everything you want for a backup software!